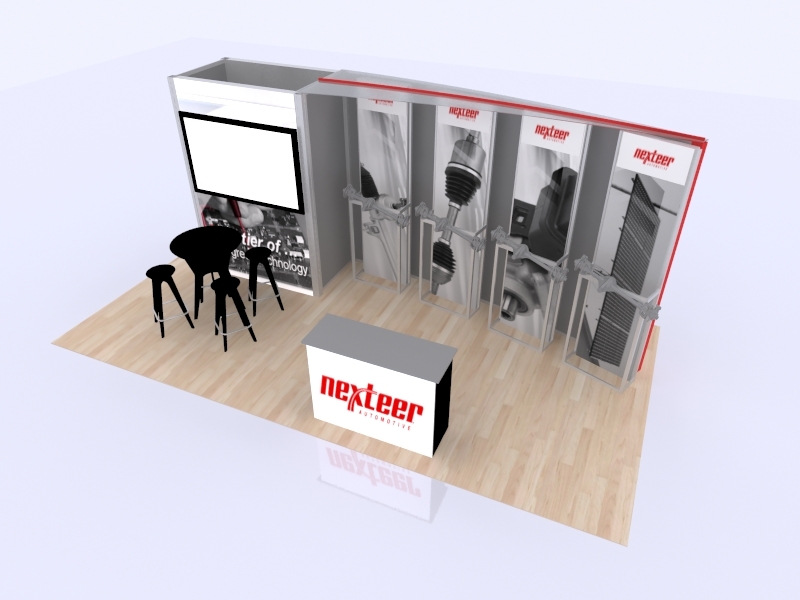 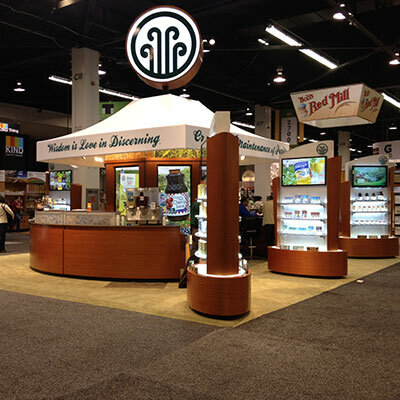 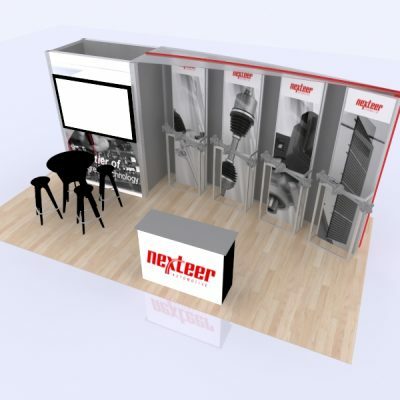 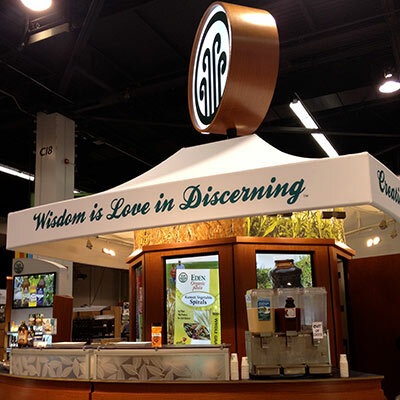 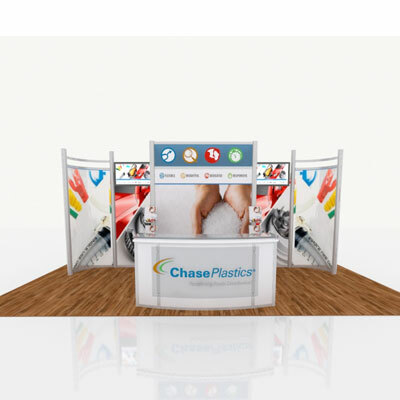 Following our four stage exhibit design process, LA Exhibit designers will create a custom exhibit design that will increase your visibility and maximize your trade show investment. 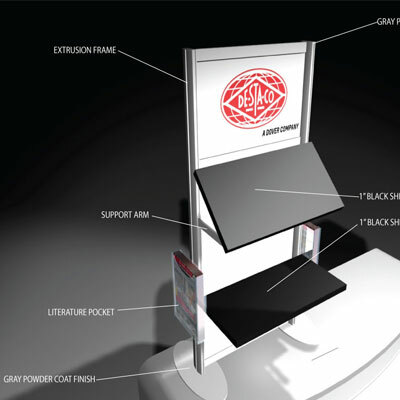 Our design team provides on-going support from concept to production and is actively involved in assuring your display is a success. 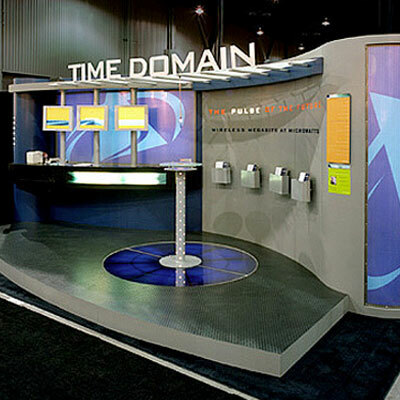 Define – Outlining your goals and parameters allows for mutual understanding and discovery. 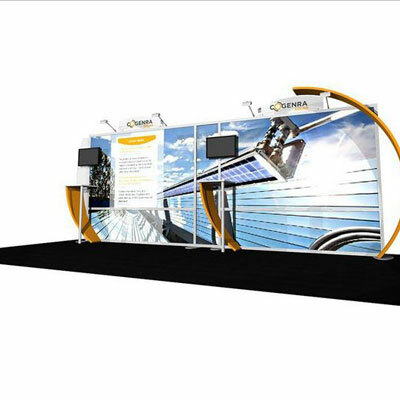 This is were bright ideas come from. 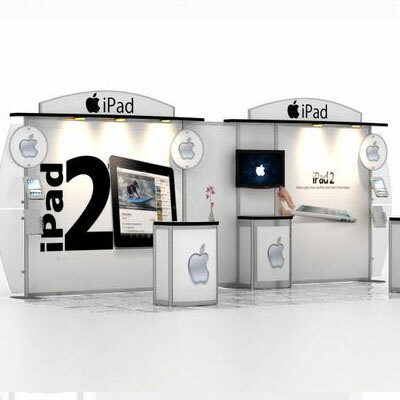 Design – Understanding current industry trends and developing your idea to a bright solution that meets your criteria and sets you apart from everyone else at the show makes for a lasting impression in communicating your brand’s message. 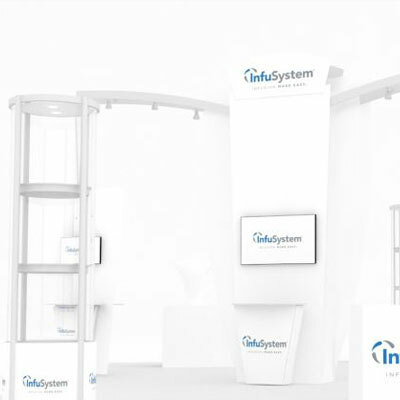 Develop – With clear vision and creativity our team will construct a system that is second to none and will stand the test of time so you get everything you can out of you exhibit investment. 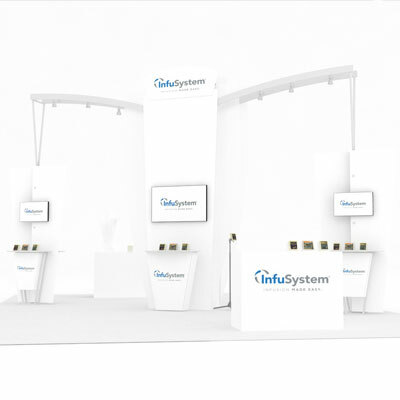 Deploy – From our shop to your venue staged and waiting for you to show up is a beautiful thing. 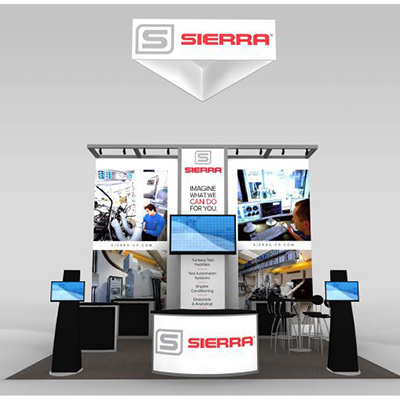 Our component-based displays ship lighter, set-up faster and anticipate your changing needs. 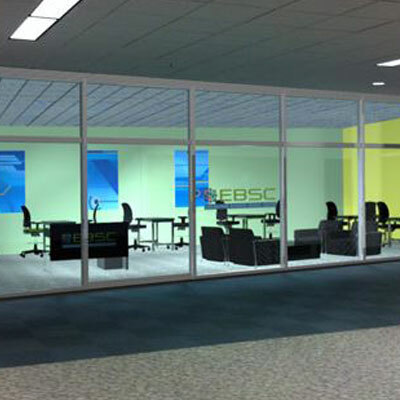 Modular Design: Utilizing a modular system gives us a design advantage. 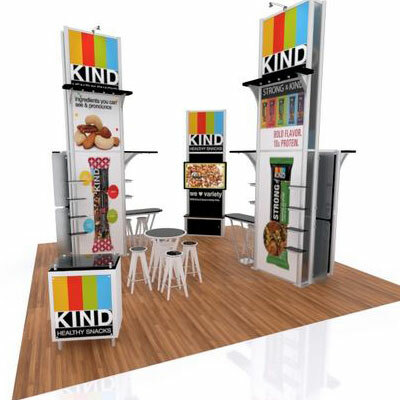 It’s versatile and lends itself to endless combinations, which gives us the creative room we need to construct something new and exciting every single time “easy to assemble, dissemble, store and ship. 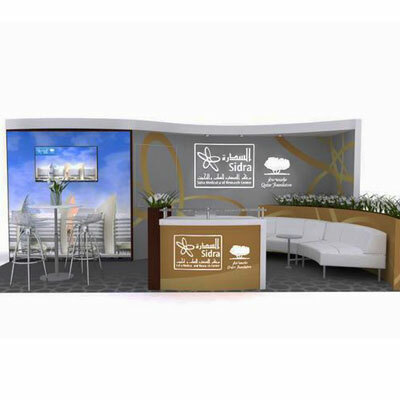 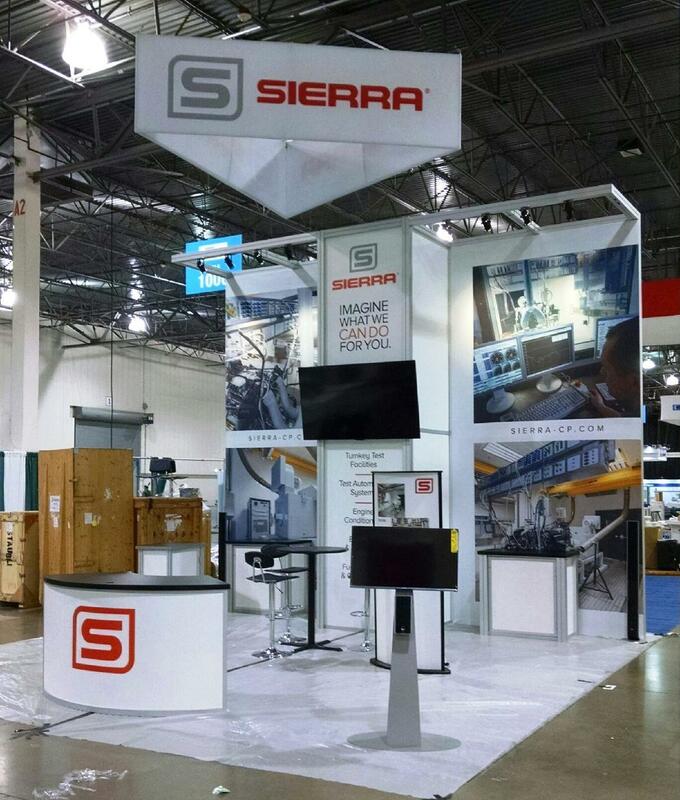 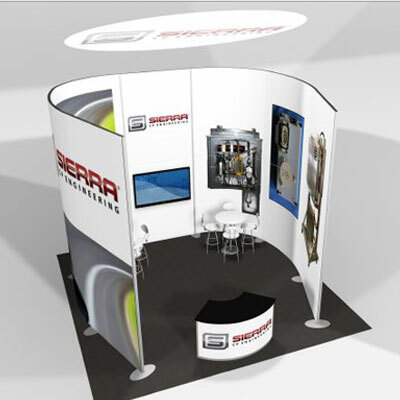 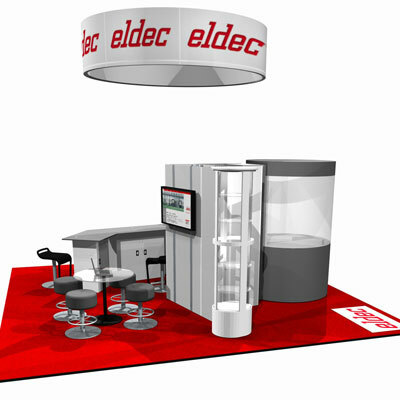 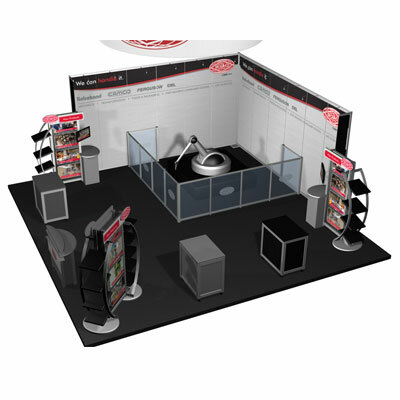 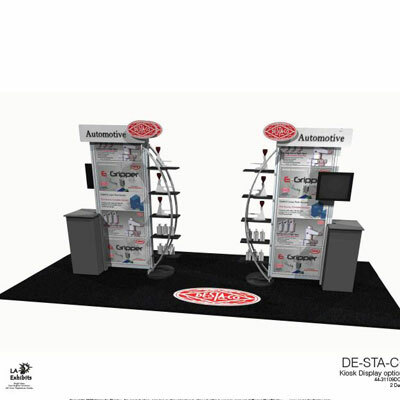 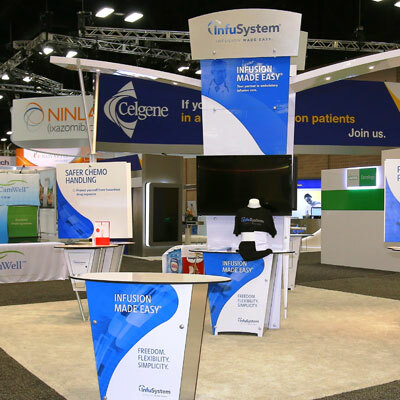 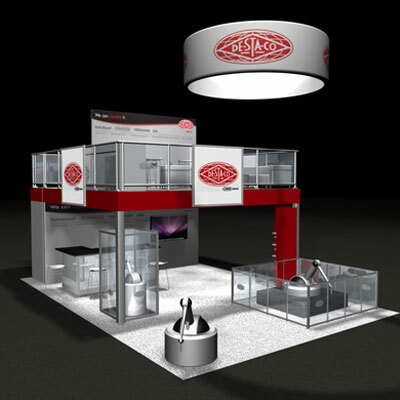 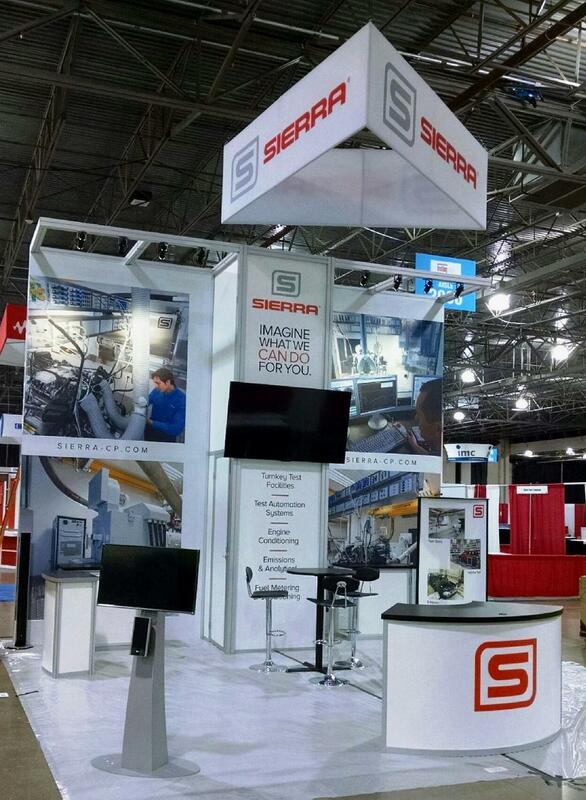 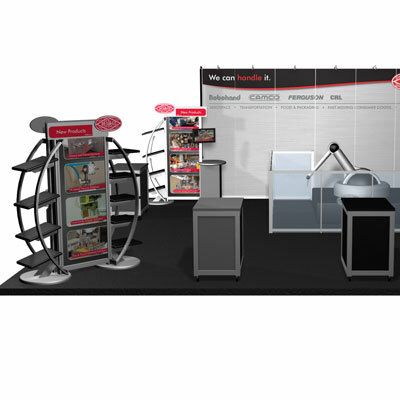 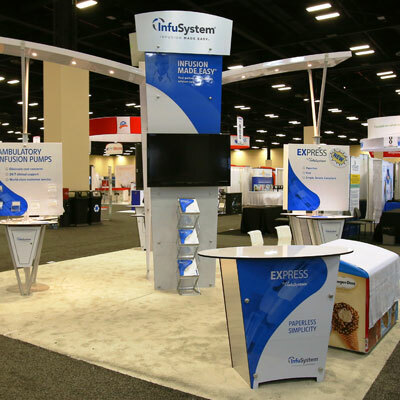 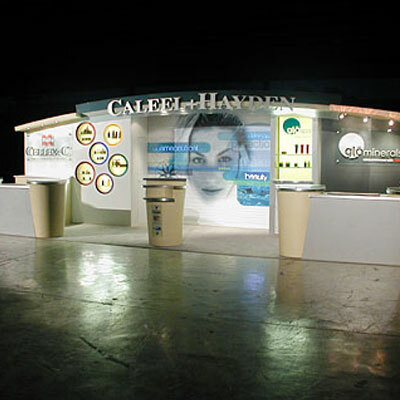 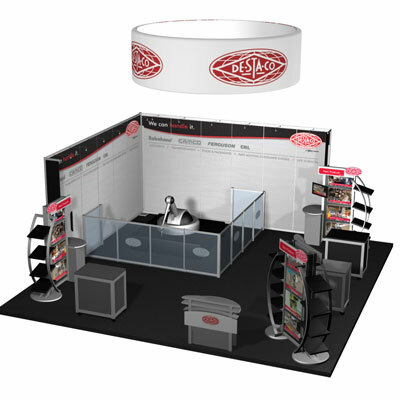 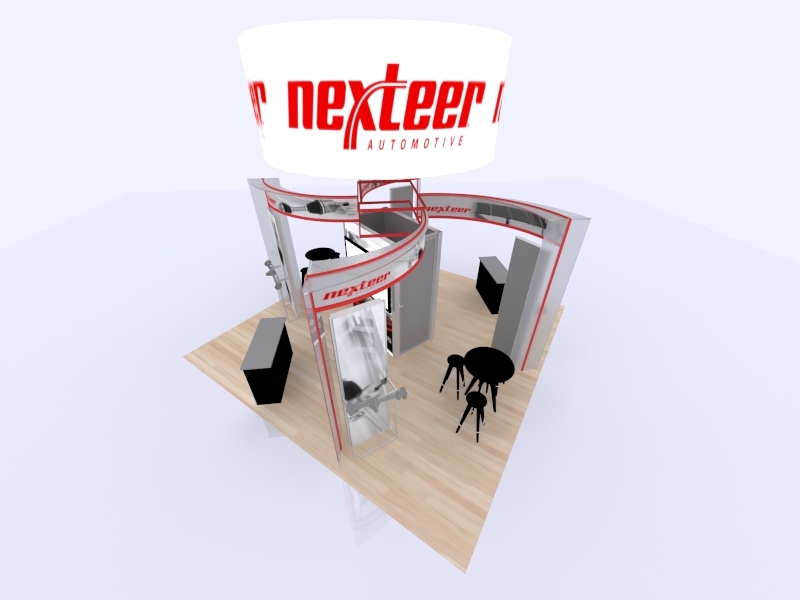 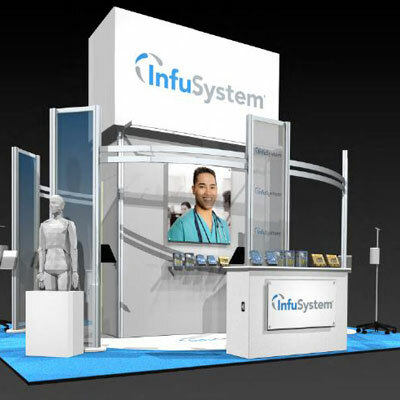 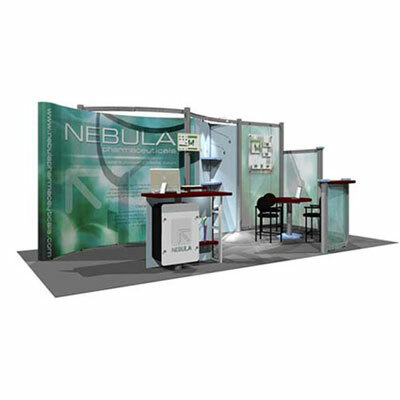 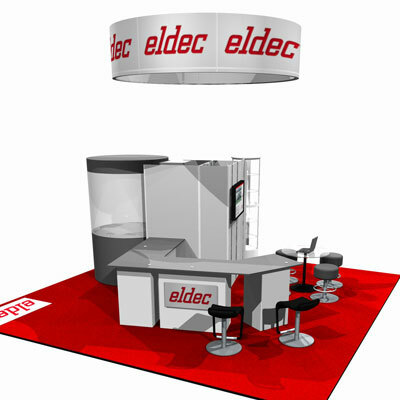 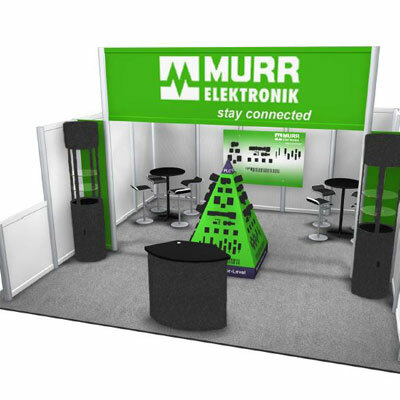 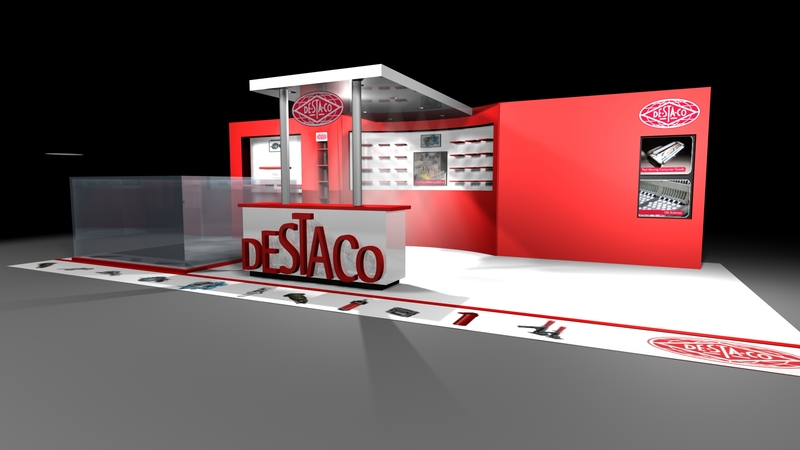 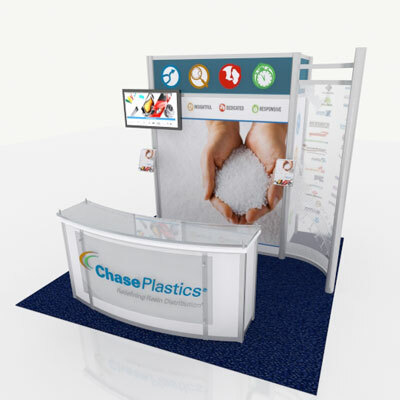 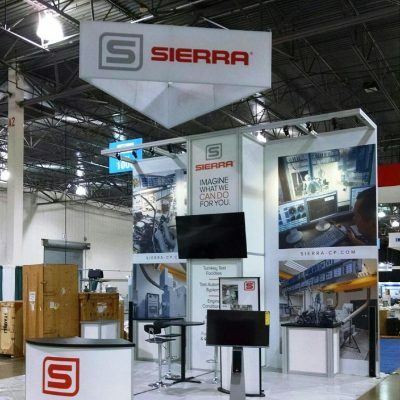 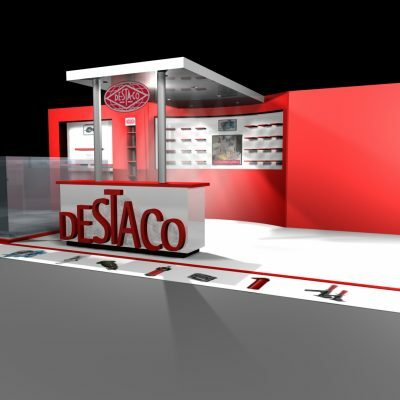 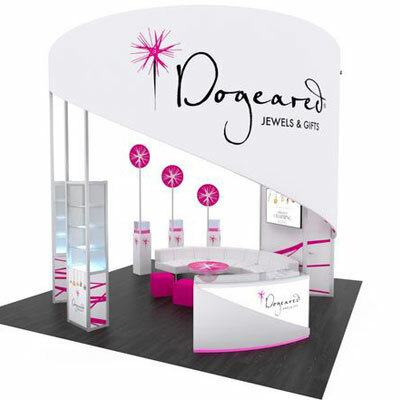 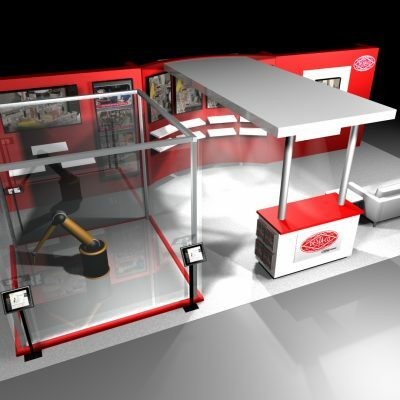 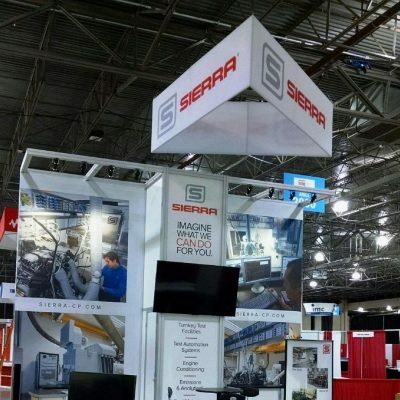 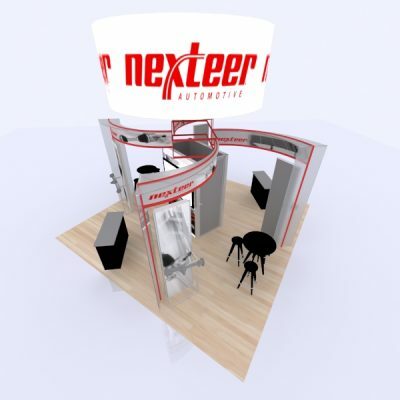 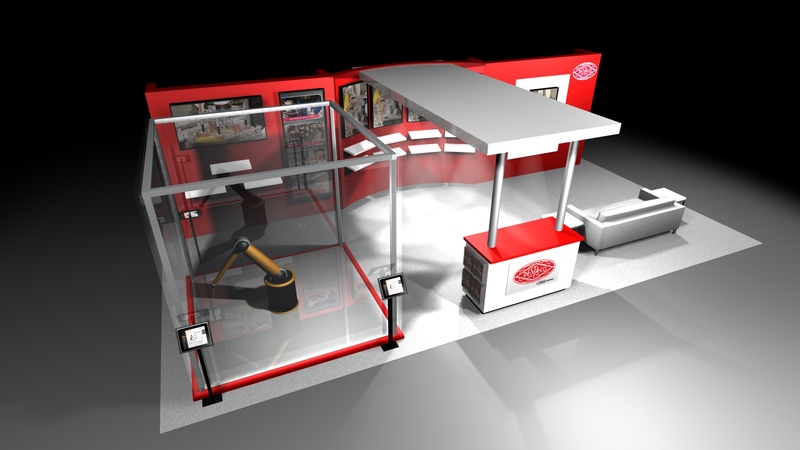 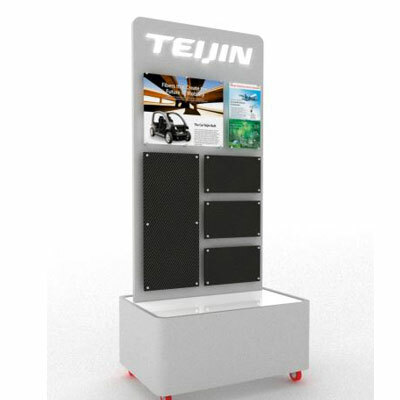 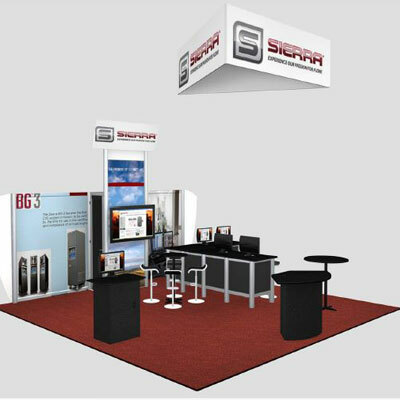 Every exhibit is lightweight and modern” to easy to assemble and ships compactly. 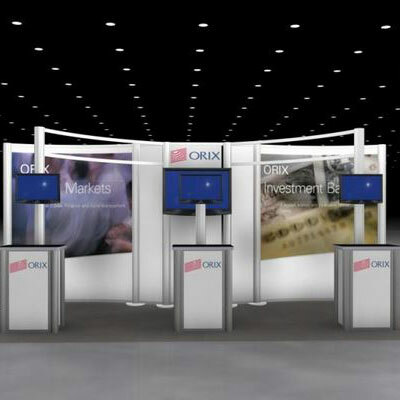 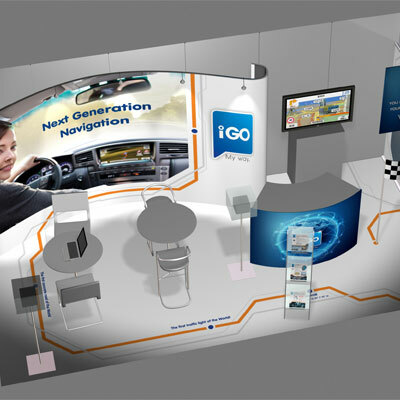 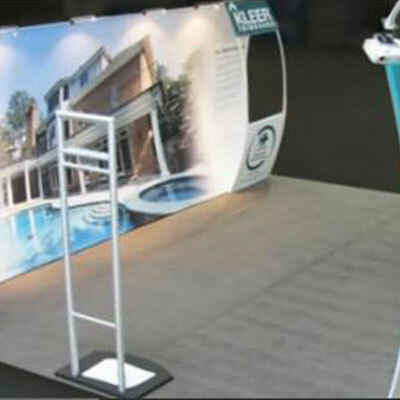 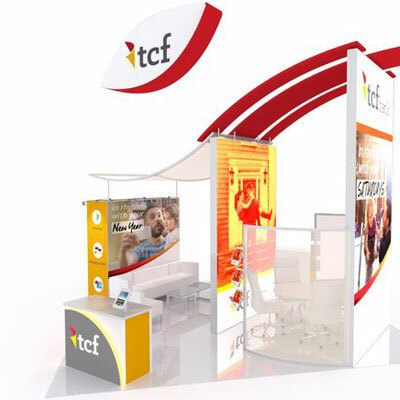 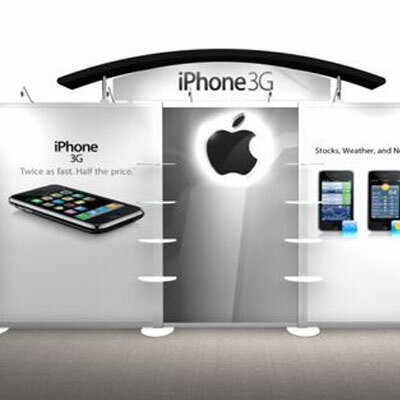 Exhibit Graphics Placement: With seconds to capture the interest of prospects, your display will have to make an impact. 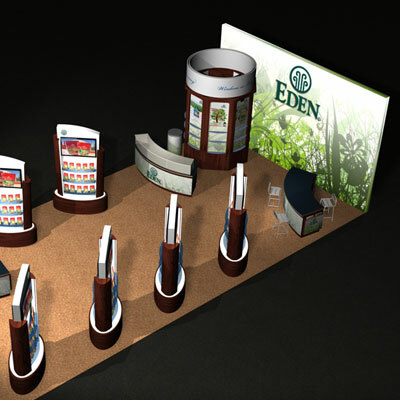 Our graphic designers understand what it takes, and use this knowledge to make your message pop. 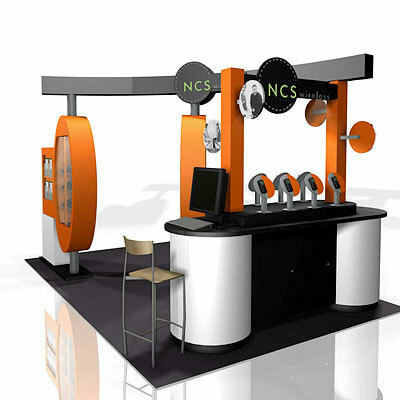 Properties Incorporation: We make furniture, fixtures, lighting, audio and visual high-tech choices work for you by incorporating them into your display intelligently and with purpose. 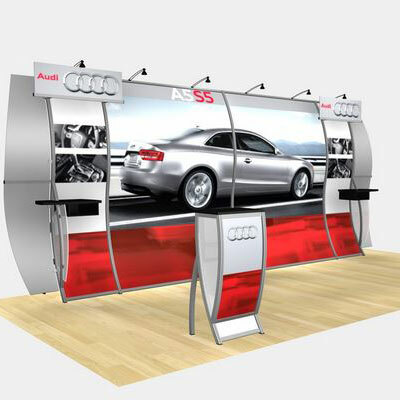 We offer touch screens and specialized presentation areas, and lighting that ranges from soft overheads to focused LEDs for an interactive experience.